Was it not thy duty to have mercy on thy fellow servant, as I had mercy on thee? It is sometimes argued that we should do good simply because it is good and not out of any desire for reward or fear of punishment. And, it is frequently added, the most powerful force preventing people from doing good is often religion. Although the argument is superficially plausible it contains multiple flaws. One of these is the assumption that 'Good' is a category which is immediately obvious to all and that everyone shares the same understanding of it. That being so, where Good is 'common sense' or a thing that 'stands to reason' or an inherent 'natural' quality, then only an irrational counter-balance, like religion, can lead people astray. But it is not so. I propose to look at three concepts, Forgiveness, Mercy, and Duty, to make the point more clearly. The philosopher Hannah Arendt, who was no Christian, wrote "The discoverer of the role of forgiveness in the realm of human affairs was Jesus of Nazareth" This does not mean that the concept had no prior existence what it suggests is that Jesus injected it into the everyday practice of ordinary people in a way which had not previously occurred. Rather like rock and roll existed before Elvis but until he released the single Blue Suede Shoes it did not enter the American mainstream. Forgiveness is not a 'natural' reaction. Retaliation is the impulsive response to injury. While a case in Reason can be made to justify forgiveness one at least equally strong can be made to justify its opposite. So, a decision has to be made as to which of these is Good and it is by no means obvious to 'common sense.' 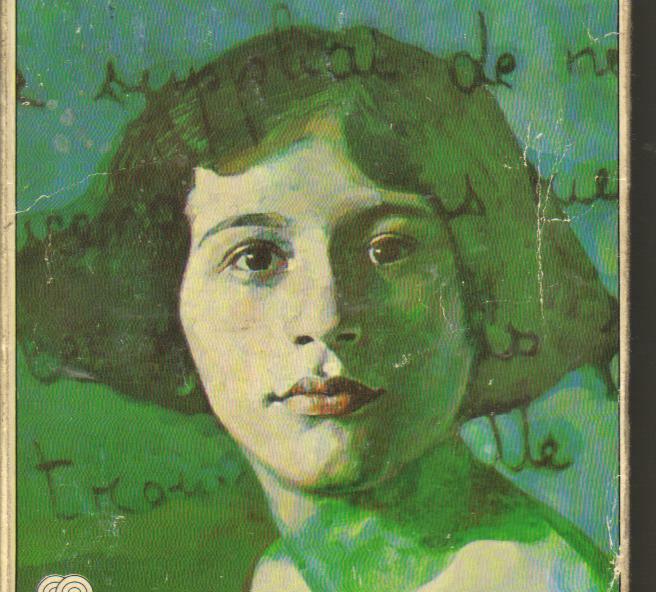 Arendt put it like this "The freedom contained in Jesus’ teaching of forgiveness is the freedom from vengeance, which incloses both doer and sufferer in the relentless automatism of the action process, which by itself need never come to an end." This is a fairly subtle point, albeit a significant one, and would not have entered into the current of daily life in the West had it not had a powerful agent promoting it. By which I mean, specifically, the Catholic Church. The case may become clearer if we consider Mercy. Unlike forgiveness which anyone can practice Mercy is a quality which only the powerful can exercise. It means restraining that power when one could use it, not because such restraint benefits the strong one but because it benefits the weak one. Again, this is not something obvious to 'common sense' In ancient thought, summarised by Thucydides in the Melian Dialogue, it was held that the strong ruled because they could and the weak obeyed because they must. Christianity introduced the idea that even the very powerful are themselves recipients of Mercy from God and if they desire to continue to receive that Mercy then they must themselves be merciful. Once more, the concept of mercifulness existed apart from the Church. The Stoic Seneca, who was to the Emperor Nero much like Steve Bannon is to President Trump, wrote an essay on Clemency. But the suggestion was not that Nero was under a binding obligation to be merciful simply that it befitted him as an adornment to his rule, nor was the principle capable of infinite extension to everyone with the least little power over another human being. The Christian notion that we should give mercy and forgiveness because we receive it does not come from the realm of 'common sense' or 'nature.' 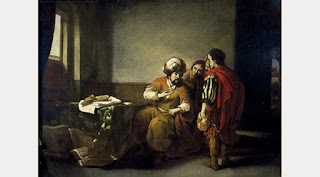 There is no 'because' to be logically derived from a set of relationships where A receives mercy from B and then mercilessly denies a request for mercy from C. Why should A be merciful to C, from whom he has received nothing, just because B has given him something? Well, because he has a Duty to be merciful. But this Duty does not emerge from the realm of pure thought alone, it comes from the spiritual realm, that is, it is a religious Duty. For more than a thousand years almost everyone in the West frequently repeated the words "forgive us our trespasses as we forgive those who trespass against us." More than that from early childhood they were catechised into owning these words, into making them a reality in their daily lives. They became and have remained part of the furniture of the Western mind and Western sentiment. If they now appear to Westerners as 'common sense' it is not nature which has effected this level of understanding, it is the Christian Church, it is Jesus Christ. At its highest possible expression Absolute Good is not a series of propositions we can deduce from our immanent surroundings. It is a transcendent reality which we encounter. God is Absolute Goodness and if we have a duty to do Good apart from considerations of reward and punishment it is because God is Good not because we are. On my *other* blog I have looked at this from another angle in- Are Atheists More Moral than Christians? 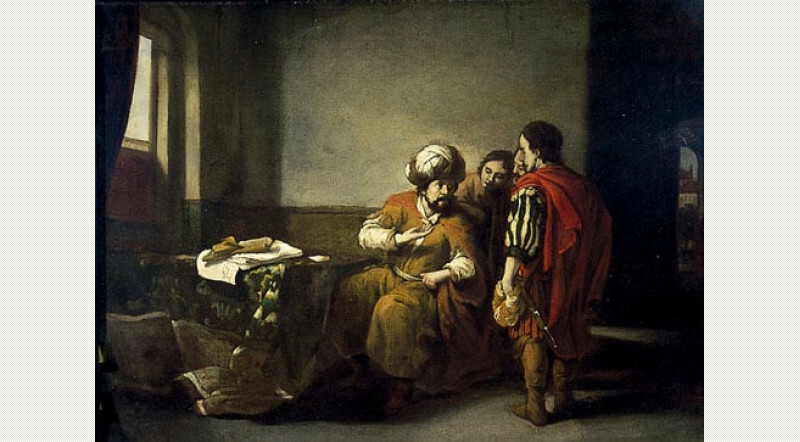 The painting is The Parable of the Unmerciful Servant by Barent Fabritius. Catholics often explain their devotion to Our Lady by saying that it is easier to gaze upon the moon than it is to look directly at the sun. That is to say that we know that the source of light and strength, love and wisdom is God and that He has, through Jesus, made it easy for us to approach Him. Nonetheless when we think how hideous and ugly we have made ourselves by our self-willed wickedness and repeated failures to act as we know we should our heart fails us. Reason and the teachings of the Church make it clear that we can turn to Our Lord but the heart has its own logic and will not be convinced by mere words and thoughts. Knowing this weakness of ours and longing for us to turn to Him the Good God has given us Mary to be our companion, guide and teacher on the path towards Him. 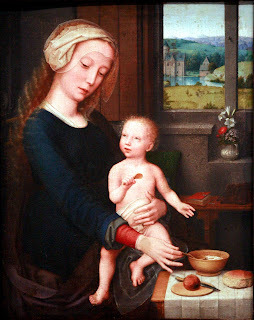 As the moon receives all its light from the sun so to the Mother is a perfect mirror of the virtues of her Son. The moon has its own features and characteristics, likewise Mary unites her own maternal solicitude to the light of the Spirit which illuminates her from within. Her purpose is to bring us to Jesus and our purpose in turning to her is to be covered by her mantle so that we may appear before Him without shame. St Bonaventure (to whom the Psalter of the BVM is attributed) wisely advises us to draw strength from the serene countenance of the Blessed Virgin when assailed by the storms of temptation. How can we do this? One option is to take his advice literally. Never be far from an image of Mary, a picture, an icon, a statue, and when the need arises stop what we are doing and simply look at her. Focus our attention on the Virgin in her serenity until the storm subsides and we can resume our normal business. We can also through our prayers meditate on her countenance as reflected in her life. The mysteries of the Most Holy Rosary of the Blessed Virgin Mary or those of the Seven Sorrows, her attributes mentioned in the Litany of Loreto and the accounts of her in the Gospel are things we can spend time with. Immersing ourselves in these will weaken the hold of satan upon us and help to drive temptation far away. Most profoundly we can, in the depths of our hearts, wordlessly and silently simply contemplate the one who can say of herself "I am the Immaculate Conception." Looking at the night sky on a clear, still night can fill us with a wonderful sense of the infinity of the universe. Similarly gazing with the eyes of the heart upon the Immaculata can open up to our sight the wonders of the Blessed Trinity to whom no one is closer than Mary, daughter of the Father, spouse of the Spirit, mother of the Son. In the battle against darkness Our Lady of Light, the Most Serene Virgin Mary, is a powerful ally and source of strength. I am become in His presence as one finding peace. Medieval Catholic mystics loved what was then known as the Canticle of Canticles because it has so many layers of meaning. It can be read as the relationship between the soul seeking union with God and the Beloved object of that search. There is a transcendent dimension to this quest, a longing to 'dwell in this translucent darkness and, through not seeing and not knowing, to see Him who is beyond both vision and knowledge' as the writer called Dionysius the Areopagite put it. 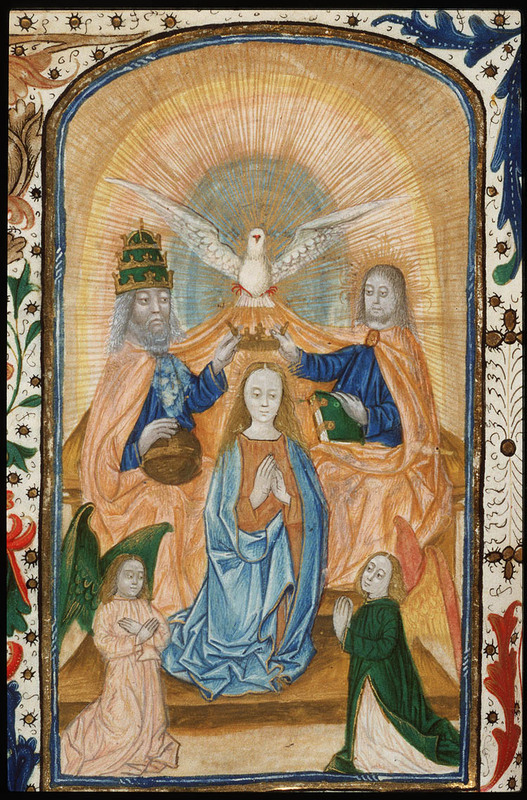 This indeed would be the very summit of peace, to be in the presence of the Blessed Trinity; adoring and loving. One of the effects of the Incarnation, of Jesus being both fully human and fully divine, is that heaven has been brought down to earth so that we who are earthy can be raised to heaven. When we become clothed with Christ we can enter into the presence of His Father and ours and so find the One who is Peace, Peace Himself. The mystical union ceases then to be the business of merely a few ascetics or philosophers and becomes the achievable object of all the baptised. To find Jesus, though, doesn't mean simply to know His name or to profess faith in Him with our lips, though both these things are necessary. It is to enter into a loving relationship with Him in each of the places where we encounter Him. In the sacrament of the altar, in the liturgy, in the Gospels, in our prayers, in the depths of our own hearts. This continual exchange of love is both the path to divine union and the achievement of that union. We are in His presence always but it is only when we realise that presence through an outflowing and inflowing of love that we can say that we are also at peace now and forever. 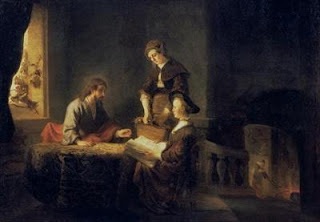 The painting is Christ in the House of Martha and Mary by Rembrandt van Rijn. Lightbearer, Christ bearer, Mother of Hope. Given us by God to bring God to us. Hearer and doer of the Father's Word. Pure light before dawn, bright star of the sea. Your dear Christ child, my Lord, the Paschal lamb. Jesus of Mary, Salvator Mundi. Secondly, when a child gives a present to its mother, however naive or artless it may be, she looks with more intent at the love with which the offering is made than at the quality of the offering itself. So I have some hope that Our Lady will accept this inadequate gift for the sake of my devotion to her. Incidentally the poem consists of fourteen lines each having ten syllables. This yields a total of one hundred and forty syllables. 140 is a number which is divisible both by seven and by ten and adding the numerals 1, 4 and 0 gives us five. 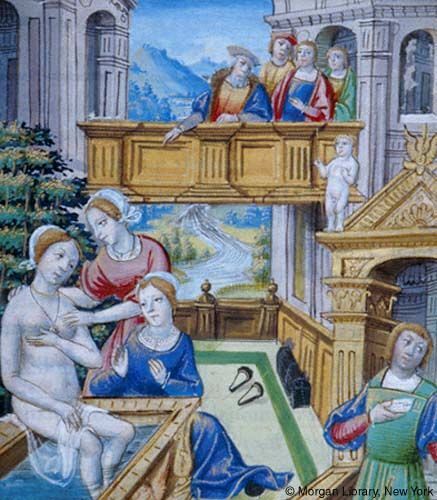 Medieval readers would have seen mystical significance in the ten commandments, seven sorrows of Mary and five wounds of Christ being represented in such a fashion. Whether, in fact, any such significance exists is for me to know and you to find out. This comes from a series of Ecclesiastical Sonnets which Wordsworth wrote about the historic Church in England. Here he is reflecting on the time of the 'Reformation' when much iconoclastic fury was expended in destroying the beautiful things for God which so many of the faithful had created. This explains the central use of the word 'Image' since both our Lady and her threatened cult were on his mind. Similarly the reference to 'not unforgiven' may be about how so many ordinary humble Christians at this time were persecuted or scorned by the powerful for refusing to abandon their devotion to Mary and the saints. Our Lady, conceived without Original Sin and cooperating so fully with grace that she committed no actual sins is the new Eve. That is, she is Eve as she should have been, as she would have been but for the Fall. And as Eve was the mother of all the living we are her children. Mary, therefore shows us what we should be and do and become. To the extent that we are truly the children of Mary after the Spirit as we are the children of Eve after the flesh we can share in her purity and in the victory over sin and death which the gifts of the Paraclete and the merits of Christ Crucified gave to her. In short form poetry every word is carefully used by a poet. 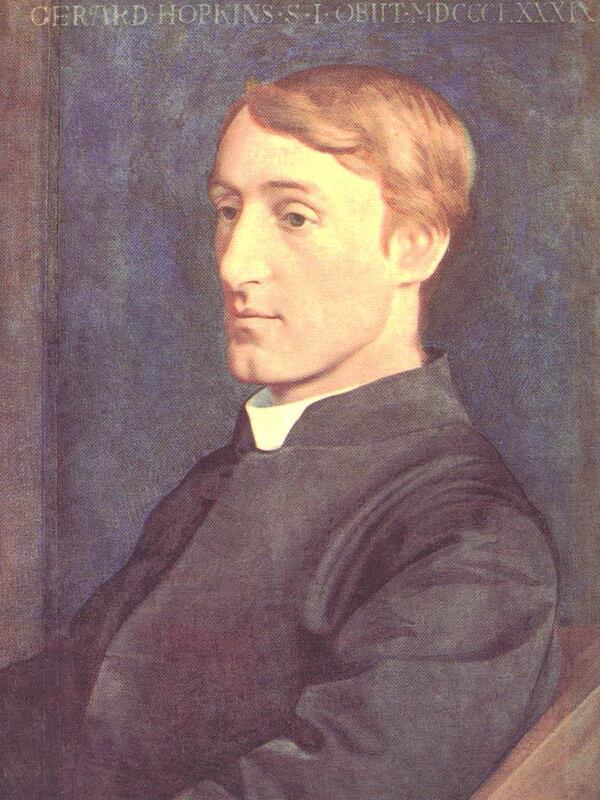 When Wordsworth, then, uses the word 'reconciled' in connection with Mary he would have had a definite purpose. As Jesus effects the reconciliation of Man to the Father through the Cross so the Blessed Virgin in her way effects a lesser reconciliation. 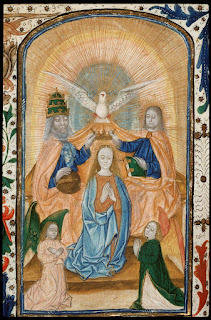 Before the Logos of God could become fully human as well as fully divine Mary had to become both Virgin and Mother. Again we see the power of the Spirit working within the human heart where cooperating with the will and reason of a person it can conquer and subdue mere flesh to the purposes of God. Mary is not only the ground upon which Jesus her Son stands she is the model and exemplar for Christians of all ages as to how we should make our religion a lived reality within the very centre of our being. The poet, (faithfully Catholic) Jesuit priest and martyr St Robert Southwell wrote a series of fourteen poems about the Blessed Virgin. This is the second of them and it is about Mary's birthday. The tone of the first stanza is celebratory in a twofold way. It firstly rejoices in the present birth of a girl child. Secondly it anticipates the mission which Mary will fulfill. In poetry every word matters so when Southwell uses 'joy' (present tense) and 'shall' (future tense) twice in three short lines he has a purpose. Mary is a gift to us in herself and we should rejoice in her for herself, she is also the chosen one through whom comes the Saviour who will cause us to experience joy eternally. And in saying 'the Sun that lent her light' the poet reminds us of something that Our Lady herself never forgot that she is what she is because of the merits of her Son. For this reason the verse ends by highlighting that one of her roles is to act as the Star of the Sea that shines out for us through the storms of life leading us toward the safe haven of Jesus Christ. And bringeth life to Adam's dying race. 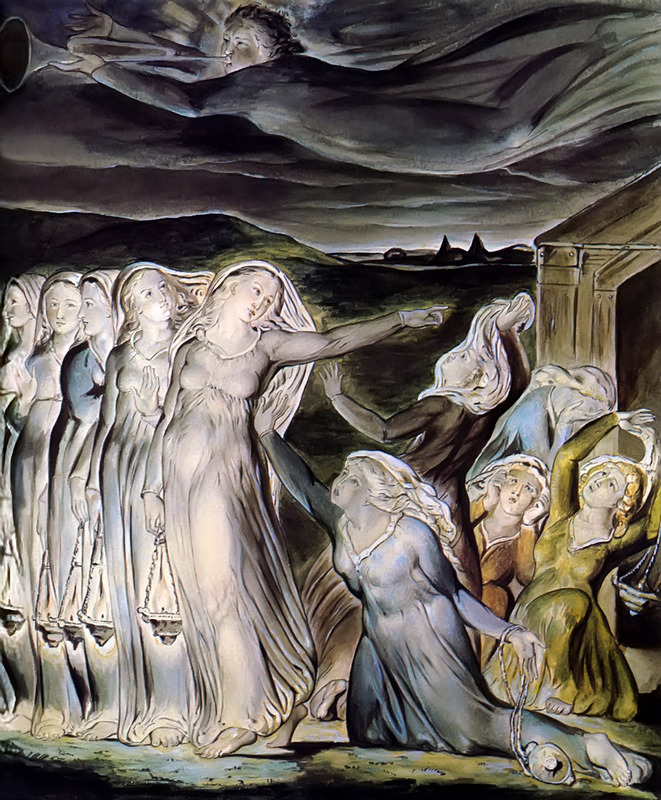 Past, present and future are linked in the second stanza where Southwell sees Mary and the child she will have as having been prefigured in the Old Testament, as living in the Gospel times and as changing all human life thereafter in both time and eternity. He uses an image for Our Lady, which he had previously introduced into his poem on the Immaculate Conception, as 'Elias' little cloud.' This is the episode in 3 Kings 18 where the report that 'There is a cloud as small as a man’s hand rising from the sea.' was a prelude to a welcome fall of rain which ended a prolonged and killing drought. St Robert in this stanza is pointing us to Mary's role as mediatrix of grace. The Father wills that through her hands shall flow the gifts of the Spirit that the merit of her Son has sent upon the world. It is grace that brings us to true life. Not only will it lead us to the kingdom of heaven after death but it enables us to live in the realm of light now in this life as brothers, sisters and children of Jesus the firstborn and, crucially, of all our neighbours too, good and bad alike. The child of man, the parent of a god. The English language has changed somewhat in the more than four hundred years since this poem was written so some of its images are less startling than they may at first appear. The expression 'widow's weeds' is still used sometimes and reminds us of a time when the word 'weeds' referred to clothes. It is, I think, derived from an old English word "Waed" meaning "garment." The point being, in any event, that Jesus became our Emmanuel, God-with-us, because He was clothed with Mary's flesh, filled with Mary's blood and received His first nourishment from Mary's milk. The mystery of God's incarnation as Man, fully divine and fully human begins with His initiative but is crucially dependant upon Our Lady's assent and cooperation. This girl child will one day utter the words which will allow the Eternal One to enter time and conquer death. With a feasting in her honour ? 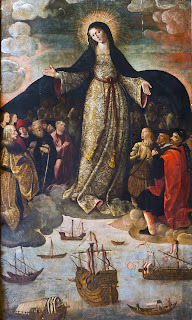 In the northern hemisphere, where the practise of devoting a month to our Lady began, May is the high point of Spring. The poet and (faithfully Catholic) Jesuit priest Gerard Manley Hopkins mused about the connection between the season and the person honoured in it. It is a time when the short days and long nights of winter have been left behind. Than the most are must delight her ? And flowers finds soonest ? 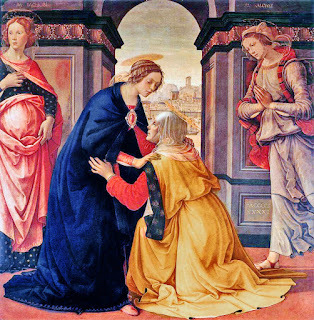 The final words invoke again the Magnificat and remind us that Mary's honours and privileges stem entirely and totally from God and her relationship to Him, daughter of the Father, spouse of the Spirit, mother of the Son. Additionally, though, there is a purpose behind his use of the words 'bliss' and 'ecstasy.' For theologians and poets these are words that point to the divine union of the soul with God, the Beatific Vision of the Uncreated Trinity which fills with delight those enraptured in eternity. 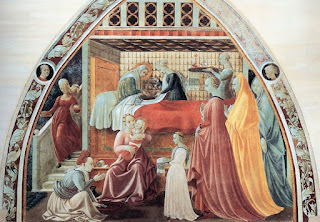 In that most blessed year of her only pregnancy May was the month where Mary experienced that rapture in peaceful tranquility and absence of fear; a brief respite in a life that was to be so full of the shadows and the reality of the Cross. 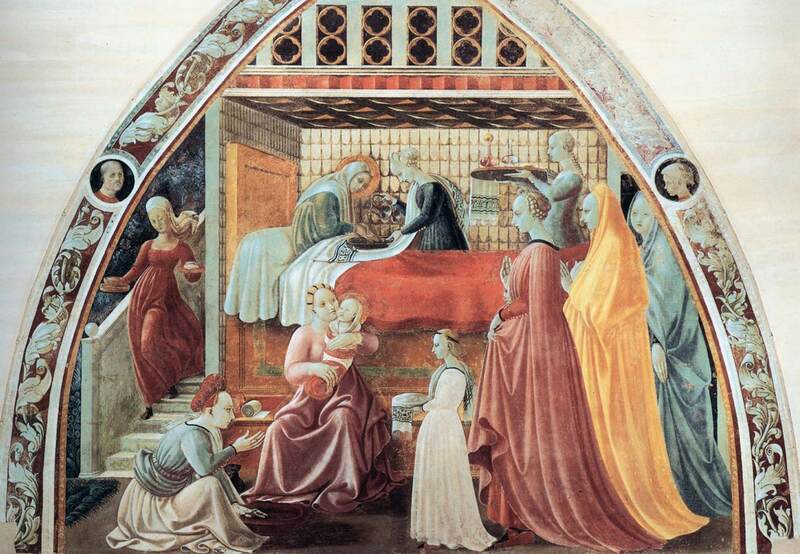 The bliss and ecstasy of Mary's May is of value to us too. Mary is that ladder of Jacob by which we can ascend to the vision and the presence of Jesus her Son in heaven and descend bringing Him in love to our neighbours. In devoting ourself to her in her special month we are devoting ourselves also to the evangelical task of spreading the Good News about Jesus Christ.